It’s always a delight to work with a child who is really motivated to practise their speech goals both within and out with sessions. To see them trying so hard, improving week on week and responding to feedback is hugely rewarding. The role of the family is hugely important in carrying on practice outside of sessions. Creating opportunities on a daily basis to practice a specific sound or process can sometimes be a challenge. Here are my top tips for creating opportunities to practice which are fun and motivating. Try and do a little bit everyday rather than mammoth practice sessions. Little and often will keep practice fun rather tham feelings like work. Maybe try to find a time everyday when you can do a bit of focused practice and use some of the suggestions below to keep it motivating. Alternatively use opportunities throughout the day to get short sharp bursts of practice, again, see some suggestions below. Play games that involve lots of turns as these give many opportunities to practice the target sound. Have your child say the sound each time they take a turn. Board games such Snakes and ladders are a fun way to takes turns for you to model and your child to practice their sounds. Jenga is a great suspense-building game with lots of opportunities for practice. Kerplunk or bubble bee (pictured) allows for a lots of turns, pulling out a leaf after every attempt whilst trying to avoid the falling bees. Number 3 – Keep Motivation High with Technology. Number generator – where you shake a mobile phone to generate a number and they you practice the sound/ word/ phrase assigned that number. A recent and highly successful find is Lego Creator. The child gets to build something but has many chances to practice the target in the process (good old-fashioned lego will also work a treat of course!!). Don’t put pressure on your child for perfect productions every time. In order to keep motivation up, a child needs to feel success. Speech work takes time and practice and that will become really tricky if the child feels under pressure. 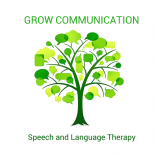 This entry was posted on October 15, 2017 by katygrow in Uncategorized and tagged children, phonology, play, slpeeps, speech and language therapy, speech therapy.